“Our work shows that co-evolution can yield new and unique behavior at the population scale,” explained Joshua Weitz in a recent article about his biological research. Joshua Weitz, associate professor in the School of Biology at the Georgia Institute of Technology uses mathematical models to study the changing abundances and traits of natural populations. 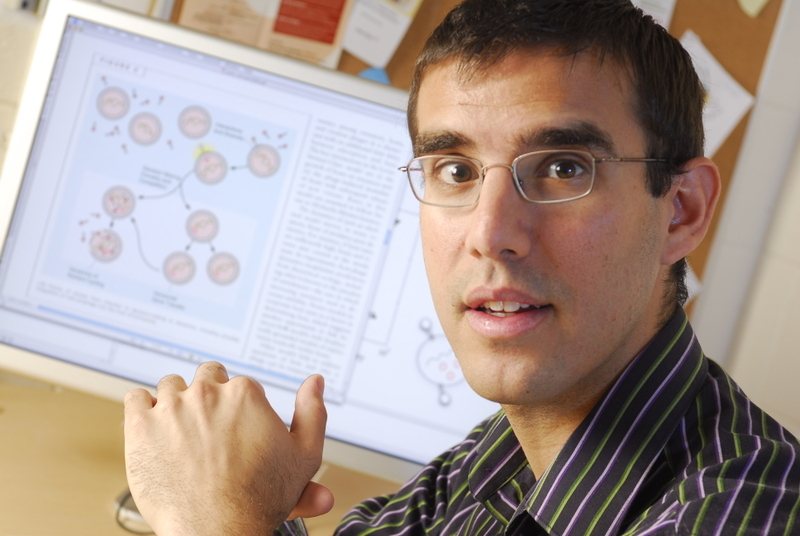 Joshua Weitz is an associate professor in the School of Biology at the Georgia Institute of Technology. He is originally trained in Physics. 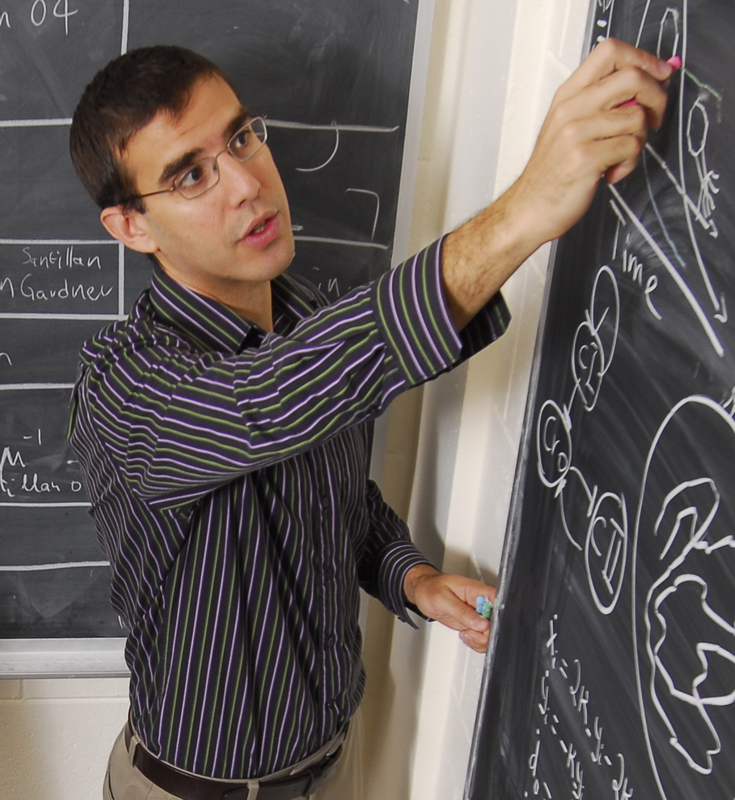 His research focuses on the application of mathematical and physical models to the life sciences, including an emphasis on virus-host interactions. Dr. Weitz earned his Ph.D. at the Massachusetts Institute of Technology. The Weitz Group at Georgia Tech focuses on theoretical ecology and quantitative biology. Lions do not usually lay down with lambs. They eat them. Such events are part of the natural life cycle of predators and of prey. By eating prey, predators reduce their numbers. And with fewer prey available, the number of predators decreases. With fewer predators, the prey that remain flourish. Finally, as prey grow more abundant, the predators consume more prey and grow again, restarting the cycle. This canonical view of predator-prey cycles was proposed 90 years ago by the mathematical biologists: Alfred Lotka and Vito Volterra. One key assumption of Lotka-Volterra models is that individuals within a populaton are nearly identical. In fact, individuals can have markedly different traits and behaviors. Dr. Cortez found that when individuals within a population had different traits, then the total number of predators can peak in abundance before prey do. Applying the insights of Lotka and Volterra it would seem that prey are eating predators! They do not. Rather, it is the change in the numbers of different kinds of prey and predators, that is to say, evolution, that drives the reversal. With this guiding principle in hand, we identified multiple instances of such reversed predator-prey cycles in natural systems, including cycles of mink and muskrat and of bacteria and the viruses that infect them. Altogether, our work emphasizes how important individuality, and indeed rapid evolution, is to the ever-changing natural world. This piece really changed the way I think about evolution.